For nearly three minutes, a former employee loaded $126,520 in cash from a Lakeview Chase Bank vault into a messenger bag while holding two tellers at gunpoint on November 9, police said. Now, a woman has been charged in the case. Both tellers told investigators that they thought a former employee named Latasha Gamble committed the robbery based on the offender’s voice, lips, and other features, an FBI agent said in a court complaint. Four hours after the Chase located at 3956 North Sheridan was robbed, a joint FBI-Chicago Police task force arrested Gamble as she reported to her new job at a different Chase branch. According to CWBChicago reporting on the day of the hold-up, Gamble was arrested at a Boystown-area Chase branch, 3032 North Clark. Before the robbery, Gamble dressed as a disheveled woman and sat in the lobby. 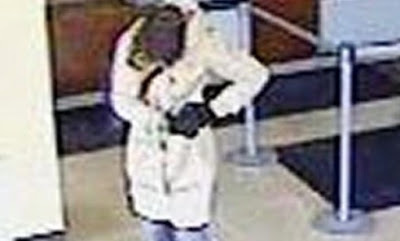 Surveillance footage showed Gamble pushing a banker to the ground as the employee entered a secured teller area from the bank lobby, the FBI agent said. Once in the teller area, Gamble ordered the two employees to enter their dual codes to allow her into the bank vault. One employee entered the wrong code on their initial attempt, but the safe opened on the second try, the FBI said. While holding the tellers at bay and preventing alarm activation, Gamble piled stack after stack of cash into a large messenger bag. Three minutes later, she fled. Under questioning, Gamble initially said that she was with a relative at the time of the robbery and that she had a dental appointment later in the day. But she eventually admitted to the heist and said she had told her relative that she was going to do something “stupid,” according to the complaint against her. Gamble is charged with bank robbery while committing an assault. The cash, which Gamble said she tossed into a dumpster, has not been found.